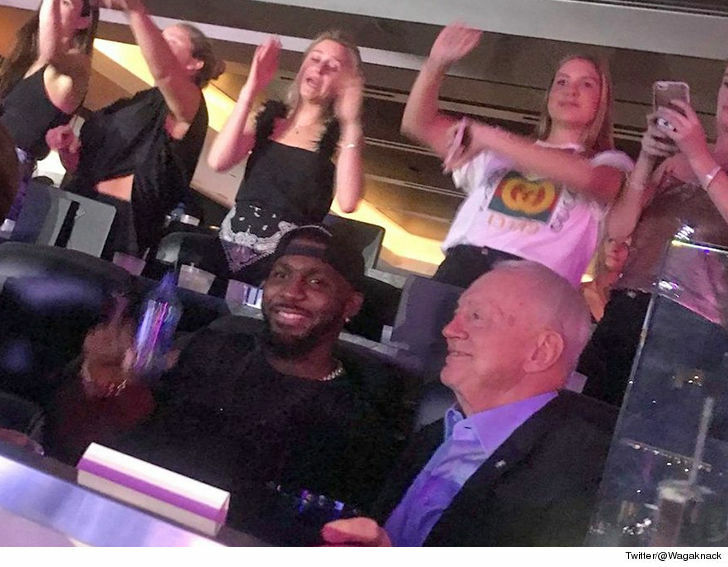 To the left, to the left … there’s Jerry Jones sitting in a box to the left — OF DEZ BRYANT!!!! No, this isn’t some old pic taken during happier times — this was shot at the Beyonce concert at AT&T Stadium in Arlington on TUESDAY NIGHT!!! Interesting, considering the Cowboys released Dez back in April and there’s definitely been some animosity between the WR and the organization ever since. We also asked if there was a chance that he could sign a new contract with the Cowboys and return to his old squad … but that’s when Dez went radio silent on us. Of course, the Cowboys could use a playmaker right now — the offense looked pretty bad over the weekend.